So You Won A Lot Of Money, Now What? There are lots of different reasons why we choose an online casino, however one of the most important is how fast it pays out if you win big. We look at a full list of fast payout casinos. When gaming online, you look for a number of things. Attractive promotions are always a good thing, as are a good user interface. Fun games are a must - if you're not enjoying playing, why are you playing at all? There is something else, too. 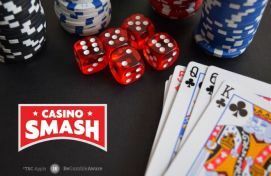 You'll probably find that, once you start winning, you stick with the online casino with the fastest payout, and that's why we've compiled a list of the casinos that we think deal with your winnings the fastest. Unibet is perhaps best-known for its well-regarded sportsbook, but the casino offering is seriously good, too. With over 400 games from the old classics to some shiny new offerings, you can rely on Unibet for a good time. 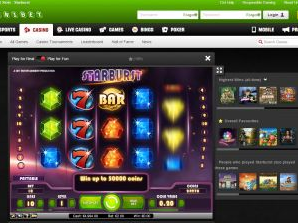 What's even better is that if you get lucky on the online slots games, Unibet is fair in paying out. Customers have reported that payout times for a good, verified, account are usually between seven hours, on the slowest side, and 45 minutes at their quickest. That means less worrying about whether your gaming was in vain, and more enjoyment, at this genuinely fast-payout online casino. For all the times that you need some questions answering, Unibet's customer support is excellent - chat and email support is answered 24/7, and the 10-hour-per-day phone support is generally picked-up by a human operator within 20 seconds. The Irish company Paddy Power is well-known for its amazingly-good mobile apps which replicate the desktop Paddy experience perfectly. It's also carved out a good niche as the company that listens to social media-generated ideas, and responds with witty promotions and bonuses to keep players loyal. For Paddy Power, it's not just about people joining the company for gaming, it's also about people sticking around. That's why the online casino has great slots games like Jackpot Giant and Gladiator Jackpot that are fun and potentially-rewarding, and why it's important to them that you get to your winnings super-fast. To withdraw to your credit card it's as simple as clicking "My Account" and "Withdraw"; you'll then be given a chance to say how much you want to take out. There's a daily limit of €2,500 / £2,500, and on the site it says to allow a maximum of five working days for the funds to appear on your account. Customer service is said by many players to be excellent, and money has been reported as appearing on accounts as soon as noon the next day, no matter the amount. 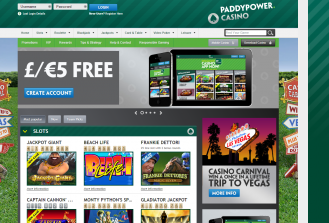 Check out more about Paddy Power Casino on their official website. 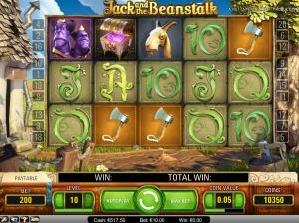 With a £100 welcome bonus and 100 bonus spins on any of its games, the friendly Mr. Green might be a growing name in the online casino market, but it's a serious one, and one you should consider. Unlike so many online casino sites, Mr. Green keeps things simple, showing you only what you need to see on its pages, making navigation a joy. If you've spent ages wrestling with antiquated options screens on sites that are not mobile-optimized, you'll appreciate this. Mr. Green, according to players, usually pays out on winnings within one day of the request being made. This is one of the reasons why Mr. Green has picked up a good reputation for the service it provides. The fast payouts of an online casino are crucial in establishing trust between the casino and the gamer, and Mr. Green is blazing a trail there. Check out more about Mr. Green Casino on their official website. For all your online casino or betting needs, the behemoth Betfair is a leading, and totally trustworthy, presence. 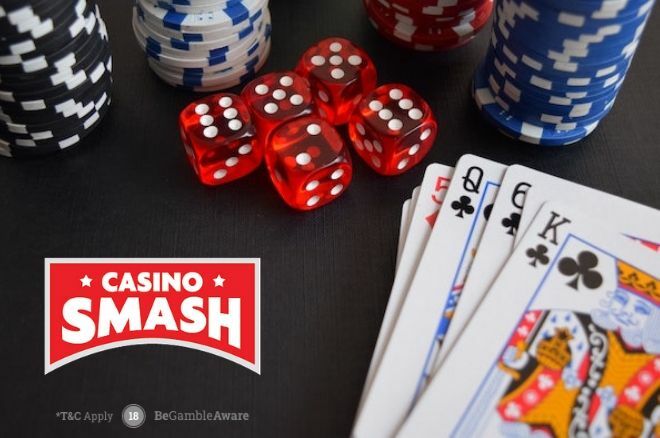 You can pretty much guarantee that its casino has any kind of game, including the very latest in casino slots games, that you could want, and what's more, it's one of the fast cashout casinos that we most admire, both for its transparency and efficiency. On Betfair's extensive support pages, there is a full breakdown of when withdrawals are likely to get to a player, and what they can do if anything goes wrong (which, based on the customer feedback we have seen, is a rare occurrence). Two days is considered the norm for credit card withdrawals, while you should allow the standard five days' leeway in case of there being a holdup. However withdrawals, to online wallets are so fast that you're likely to be pleasantly surprised by this fast-payout online casino. 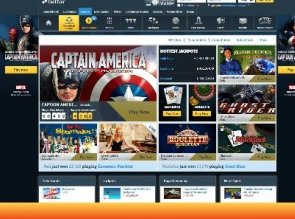 Check out more about Betfair Casino on their official website. Bonus info: terms and conditions apply to the offer. If something isn't clear, have a look at our review of Mr. Green Online Casino for the T&Cs in full. The offer on this article might have expired by the time you read it. Please refer to the review pages for the latest bonuses and promotions available. British Soldier Turns 25p into £13.2 Million at Mega Moolah! Mega Moolah Progressive Jackpot Climbs to a New Record of Over $13 Million!